Barefoot Angie Bee: My First barefoot running year celebration and a giveaway!! My First barefoot running year celebration and a giveaway!! I have much to celebrate during this lovely month of June. The Dam to Dam 20k I recently ran barefoot, commemorates one year of barefoot running for me. Last June I ran the Dam to Dam in shoes and was in pain and not at all happy with how I ran the race. I was at a loss as to how to keep putting one foot in front of the other. I wanted to loose the baby weight and take advantage of the stress relieving charms of running as well. Its my private time. My time to look inside myself and be still and just listen. Its my time to push myself and see the world and all of that was being threatened by shin splints and chronic lower back pain. Now one barefoot running year later I have PRed in all the races I had previously ran shod, I have made new PRs to best later on down the road and I have now surpassed my entire last years mileage by 31 miles and its only the middle of the year! Barefoot running has enhanced my life profoundly. It has allowed me to run ,as of right now, a seemingly unlimited amount of miles which in turn has helped me loose the baby weight and then some. I have goals that I never thought I would make or believe I could meet. I have something to blog about and from that blogging scored a sweet job and have also been able to try out so many great products out there to help me along the way. When I first started blogging weekly, my original goal being to blog once a week, I found that the best way to network and make friends was to visit other peoples blogs and enter their giveaways. This led to me winning a nuun giveaway. I fell in love with the stuff and found it to be an awesome replacement for the dreaded Hatorade. One thing led to another and now I work for nuun as a brand ambassador. I just spent the weekend at the Hy-Vee Triathlon here in Des Moines, of which will get its own post soon, spreading the word about nuun. Heres how to enter and don't forget to leave a comment for each thing you do so you get all of your entries counted. You must be a follower of this blog to enter so hop on board or let me know you already are. head over to nuun and tell me which three flavors you would like me to send you. Go check out the SPIbelt page and let me know which belt you would like. 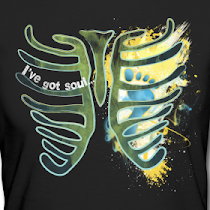 Become a fan on facebook, or "Like" whichever its called this week since it will be different next week! Spread the word about this giveaway. Tweet, facebook, blog link, ect and leave a comment for each thing that you do. Giveaway will run until Tuesday June 22nd and I will announce the winners on Wednesday the 23rd. For those of you that are unfamiliar with nuun, its an electrolyte replacement drink for all your adventures. You drop one tablet of nuun into 16 oz of water, wait 2 minutes and voila' optimal hydration. Each tube contains 12 tablets. Drink before, after and during a workout. Anytime you sweat, drink nuun! Its also great for hangovers or if you drink a wee bit too much coffee. Good luck everyone and thank you Jaymon for pushing me to try new things and blogging in my absence! I too love Nuun... I'd like the tri-berry, citrus fruit, and the mixed fruits. I would love to try the citrus fruit nuun. I love the red Inner Pocket SPIbelt. Thanks so much! I would like the dual pocket spibelt. It looks like it only comes in black... but that's okay with me. If I had an option though, I'd opt for turquoise. And now your give away is posted on my blog too! Thanks! I would love to try nuun....I have been making my own form of sports drink as I too cannot stand the big-name brand stuff. I would love to try citrus fruit, tri-berry, and tropical mix. I love Nuun....would like to try triberry, mixed fruit, and the tropical mix. I think the waterproof SPIBelt makes a lot of sense. The 13.1 Spibelt would be my #1 choice! I'm a follower and grew up in West Des Moines! I would like to try Mixed Fruits or Citrus Fruit. I've used Tri-Berry so far. I would like the Dual belt or one of the reflective belts for winter running when you don't really need a jacket but want something reflective. Tri-berry, lemon-lime, and orange ginger for me please. I'm already a FB fan of nuun. Tri-berry, lemon-lime, and kona cola would be amazing! I am a fan of nuun on facebook and your fan on facebook! I would love the Energy Spibelt...so that I can carry my gels with me! I would try the lemon-lime, orange ginger, and berry. I would get one of the spibelts with the bib clips. I follow!! Congrats on your first year anniversary running barefoot!! I'd LOVE the tri-berry, citrus fruit, and banananuun! I think a Dual-Pocket Sport Belt would be cool! I'm a fan on FB!! Linked ya on my blog! I'd like to try the lemon lime, kona cola, and citrus fruit. I'm a follower - and Jaymon did a fine job of being a SB (substitute blogger). I'd get the water-resistant spibelt. and finally, you're in my reader. Since I already use NUUN, flavors are easy...or should I say flavor - citrus fruit. Spibelt...I already have one so if I win it, I would probably pay it forward to someone who could use it. I'll cross that bridge if I ever get there (I NEVER win anything). I'd love to try... lemon+lime, banananuun, and tropical mix. I'd love to try the reflective spibelt. Hey Angie, congratulations on you one year anniversary of barefoot running,your comments about the improvment in your running is inspiring and has encouraged me to keep experimenting with running barefoot. I would probably want the solid black spi-belt ... it would match the majority of my running gear! I am a facebook fan, liker, whatever! Yes, I am a follower! SPIbelt - I would have to say if i could choose any, it would probably be the waterproof one. If i had to choose a color in the basic/original i would pick the black with turquoise. Just found you and am now a follower! I am a NUUN lover too...citrus berry, lemon lime, and orange ginger are my faves. For the spibelt I would choose the energy belt. 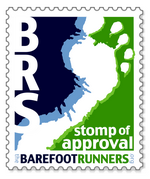 Wow, congratulations on one year of barefoot running! I'm a follower. My favourite flavours are: orange ginger, citrus and berry! I'd go for the regular SPIbelt in purple! 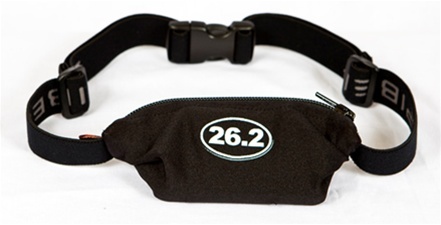 I really like that 26.2 SPIbelt you have shown! I would like to try the lemon+lime, kona cola and tri berry flavors. I think the Energy Belt would be nice. I hate having to dig in a pocket for my gels/ blocks when I'm running. Congrats on your first year of barefoot running. It's pretty amazing what a difference it has made for you! I have a spibelt but would love the energy one. I think I like the Susan G Komen belt. I always like to buy things when some of the money goes to a good cause. I linked to your giveaway in my blog! I'm a follower. Congratulations on a great year of running, here's to your next one. Choice of three flavours: I think I'd have to go Mixed Fruit as if I've understood it right that pack has a mix of the three flavours that sound most appealing to me. (lemon+lime\tri-berry/citrus). Although, nice thing about getting to try something for free is that it can push you to try things you wouldn't normally spend your money on, so if I did actually win maybe I would be brave and try something a little more different like orange ginger. Hmm Tough decisions on the Spibelt website. I'm torn between the dual pocket for all my junk, the reflective one because I like anything that helps me to be seen while running at night which is often when I manage to get out once the kids are in bed, and the waterproof one. I think the reflective one has the edge, as I think maybe the dual pocket would be too enticing for toting even more crap I don't really need and the waterproof one limited function, though might be perfect when I go to England ;). I'm also a FB fan. Finally, I just posted the link to the giveaway post on my FaceBook page. Follower of your blog. Happy one year barefoot anniversary! Mmmm there are so many yummy flavors to try. I think I'd like the 13.1 SPIbelt. Because I'm running my first half marathon in 9 days. Yahoo! I am a faithfull follower! I like the Limited Edition Susan G. Komen Ribbon Belt...but of course I like the kids belt with polka dots, too! I loved to try lemon-lime, triberry and banananuun. A great shout out coming on my post! Mmm...tropical mix, mixed fruits, and orange ginger! The water-resistant Spibelt would be lovely. I follow your blog! Love it and have been inspired to pick up some barefoot running myself! Flavors to try. Since I too am not a fan of Hatorade or the other one, this might be some goodness that I can get behind. I'd try the Kona Cola, Banananuun and Tri-berry. SpiBelt? Well that is just too cool. Never seen one before, but then I am new to all this running gear. I think I'd go for the Reflective or the Susan G. Komen. Though, perhaps it would be best to go with the Water-Proof one since I run on the beach and through the water quite a bit. Facebook fan or liked or whatever. I hate FB. already a follower. love your blog. linked the giveaway on my blog. I'd love to try lemon+lime, citrus fruit, and tri-berry. I'd love a black w/ black zip SPIbelt (yeah, I'm exciting). I've been eying them up for a while. I'd like to try tri-berry, bananauun, and lemon+lime. I really like the SPIbelt Energy Belt. On really long runs I usually just carry a gel in my hand which actually is getting really annoying. This would be perfect! I am all about the lemon/lime gotta keep it simple! Hot pink spi belt all the way! Orange Ginger, Tri-Berry, and Citrus Fruit for the Nuun! I would for sure try the trI berry flavor! I am sucker for a berry flavor of anything! I am really digging the 26.2, since my first marathon is in December! Mentioned your giveaway in my blog! I really want to try the citrus fruit flavour....options are limited here in Aus! I'd try tri-berry, orange ginger, and kona cola. I like the reflective spibelt best. You're linked to my sidebar. Tropical mix, lemon lime and berry, please! I love nuun!! I follow you. Of course, I've been reading your blog for way too long, I don't know why I wasn't just 'following' before! I'm a fan of the Tri Berry, but I also like the orange ginger... and for the 3rd flavor, well I just don't KNOW! Lemon-lime? A Dual-Pocket Sport Belt would be cool, but, I also like the very simple "Race Belt". Nothing to it, but sometimes you're just racing a short race and don't want to weigh yourself down... and don't want to stick holes in your skirt! and you're linked on my side bar. I'm torn between the water bottle holder and the reflective belt. I would like to try the tri-berry, citrus fruit, and tropical mix flavors of nuun. I like the SPIbelt in turquoise! I would want to try tri-berry, lemon+lime and mixed fruits. I would want the SPIbelt in pink! I "like" you on FB now too!